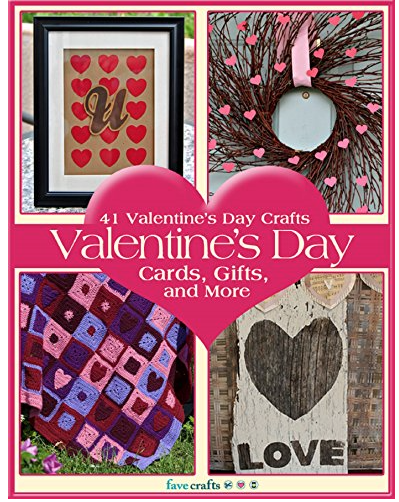 Amazon is offering a FREE Kindle download of 41 Valentine’s Day Crafts right now. With 41 patterns to choose from, this is a must-have free eBook for anyone looking to add a little handmade touch to their Valentine’s Day festivities. Don’t have a Kindle? You can download the Kindle app for your Blackberry, iPhone, Mac, or PC here. Remember – Amazon eBook prices change frequently and without notice. Please verify that this eBook is still FREE before purchasing. I am a participant in the Amazon Services LLC Associates Program, which is a program designed to provide a means for sites to earn advertising fees by linking to amazon.com. Thank you for supporting Cha-Ching on a Shoestring. For more information, see my disclosure policy.